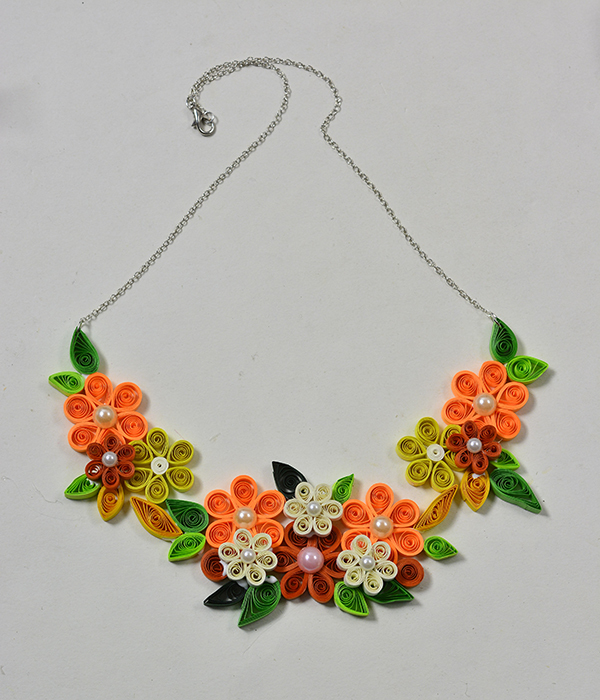 Let’s have a try on quilling flower necklace for girls! 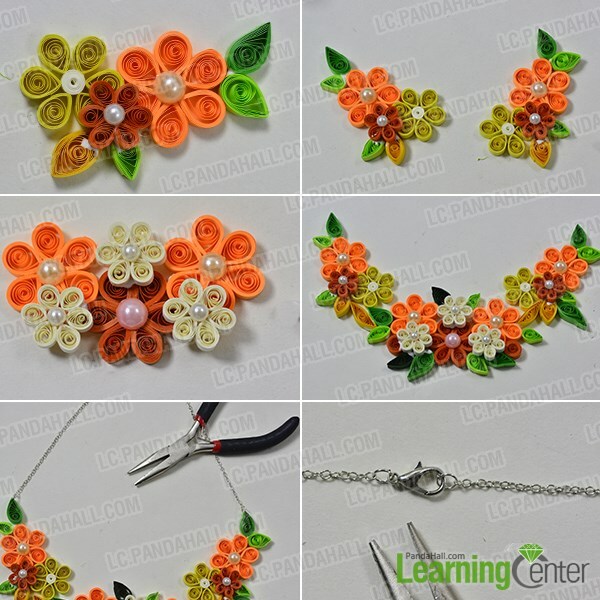 you will learn how to make quilling flower necklace and you must enjoy yourself much! 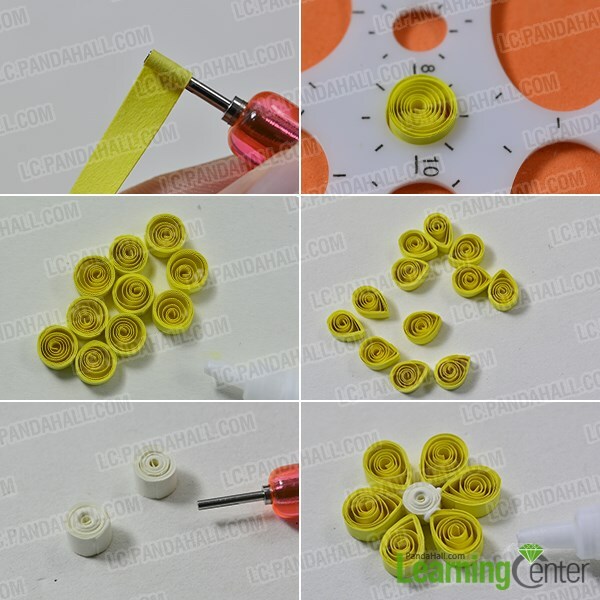 4th, paste 6 yellow tear drop shape quilling paper around one white round quilling paper with white glue. 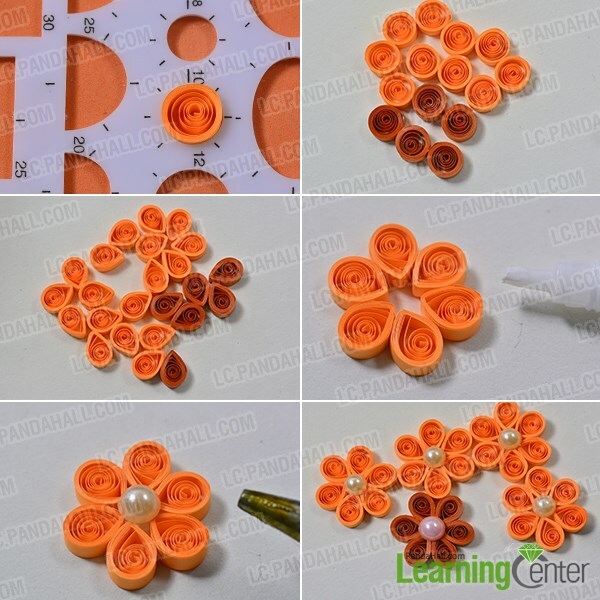 3rd, paste the red quilling paper with tear drop shapes around pink acrylic cabochon pearl bead. 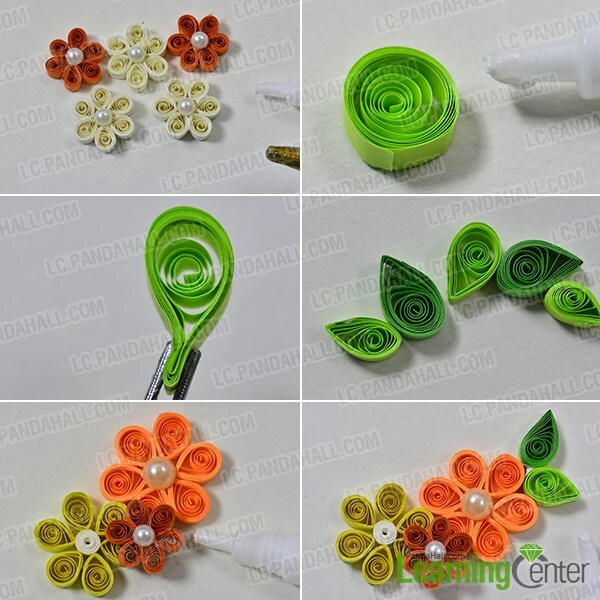 2nd, paste the green leaves around the quilling flowers with white glue, please see the picture below. 3rd, add a lobster claw clasp to connect the silver chain, showing as the picture below.